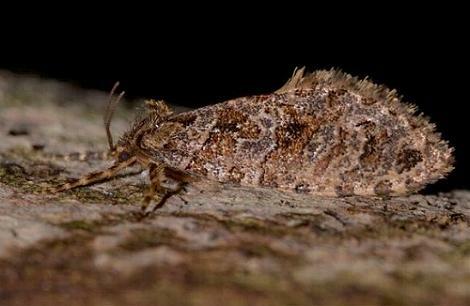 The adult moth of this species is pale brown, with several vague blotchy jagged darker bands across each forewing. The hindwings are plain fawn. The moth has a wingspan of about 2 cms.